Marc Friedenberg is seeking the Democratic nomination for the U.S. House seat, 12th district. Rep. Tom Marino, who currently holds the seat, announced that he'll be stepping down in January 2019. As U.S. Rep. Tom Marino announced that he is resigning to take a new job, the Democrat who ran against Marino in the fall has decided to try again for the seat. Democrat Marc Friedenberg said he plans to seek his party's nomination. He pointed to many of the same issues. With the U.S. House’s new term barely underway, Marino's announcement came as a surprise to many. He had won his fifth term in office in the November election. Marino had come under fire for legislation critics say made it harder for the federal government to stop questionable opioid shipments. He defended the legislation, which received bipartisan support and President Obama signed into law. But, facing criticism, Marino withdrew his name from consideration as Trump’s drug tsar. Friedenberg said he thinks Marino should have told voters in the November election. The 12th district stretches from the New York state border down to Perry County, picking up part of Centre County. While Marino’s resignation means Democrats have another shot at winning the seat and Friedenberg did win Centre County in the election, the district is seen as leaning strongly Republican. The Democratic and Republican parties will choose their nominees for the seat, and Gov. Tom Wolf will have to schedule a special election. That election has to come at least 60 days from when Wolf issues a writ for a special election. That has to happen within 10 days of when Marino's resignation takes effect, Jan. 23. HARRISBURG, Pa. (AP) — A five-term Republican congressman who co-chaired Donald Trump's successful presidential campaign in Pennsylvania is resigning. WPSU spoke with candidates running for U.S. House in the 12th, 13th and 15th Congressional Districts in the 2018 election. 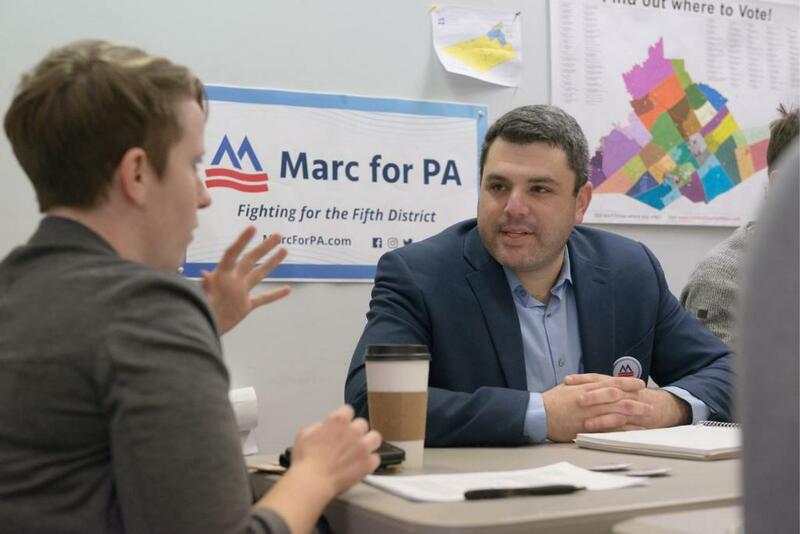 In this interview, WPSU talks with Marc Friedenberg, the Democratic candidate in the 12th district. WPSU spoke with candidates running for U.S. House in the 12th, 13th and 15th Congressional Districts in the 2018 election. In this interview, Republican U.S. Rep. Tom Marino talks about why he's running in the 12th district.